Christine Keeler, the former model at the centre of the Profumo affair that shook British politics in the 1960s, has died aged 75, her family and a close friend have said. Keeler, then a teenage model and showgirl, became famous for her role in the 1963 scandal that rocked the establishment when she had an affair with the Tory cabinet minister John Profumo and a Russian diplomat at the same time at the height of the cold war. 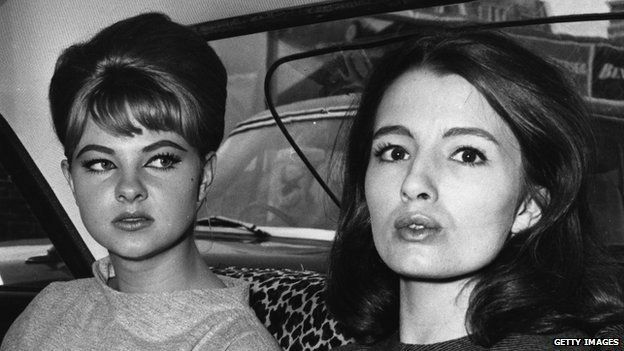 Profumo was eventually forced to resign after lying to parliament about the affair. Keeler’s son, Seymour Platt, 46, told the Guardian she died on Monday at the Princess Royal university hospital in Farnborough: “My mother passed away last night at about 11.30pm,” he said on Tuesday. 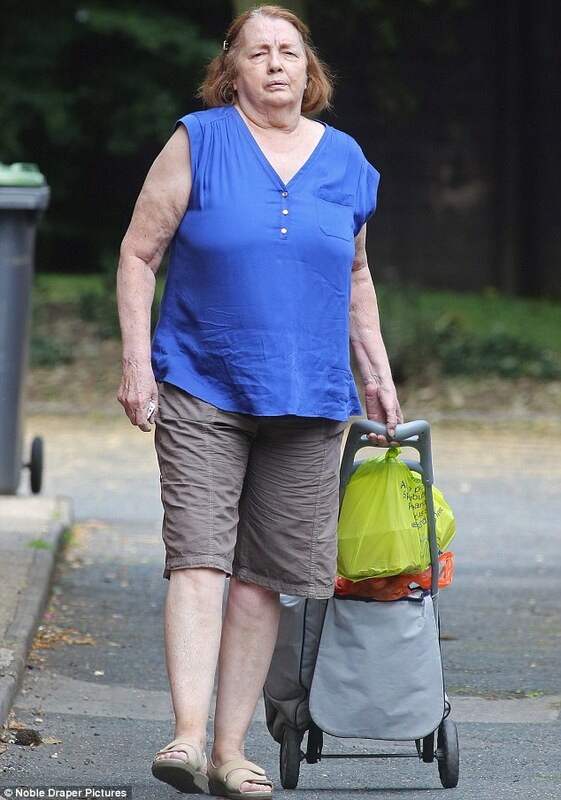 She had been ill for several months, and suffered from the lung disease COPD (chronic obstructive pulmonary disease). A major BBC series revisiting the scandal is due to start filming next year. Keeler, who had been living under the name of Sloane for many years, was briefly married twice, both marriages ending in divorce. She had two sons – James from her first marriage, and Seymour from her second – and a granddaughter. Platt, who lives in Ireland, said he, his wife and their daughter had last seen his mother a week ago. “There was a lot of good around Chris’s rather tragic life, because there was a family around her that loved her,” he said. Born in Uxbridge, Middlesex, and raised by her mother and stepfather, Keeler was working as a cabaret dancer in Soho in London when she met Stephen Ward, an osteopath, artist and “man about town”. He introduced her to a party scene attended by aristocrats and VIPs, and through him, in 1961, she met both Profumo, then 46 and secretary of state for war, and the Russian military attache Yevgeny Ivanov, having affairs with both men. When the relationships came to light in 1963, amid fears of a cold war security leak, the scandal rocked the Harold Macmillan government. Profumo told the House of Commons there was no “impropriety” in their relationship after being asked about it by opposition MPs who voiced concerns about national security implications. Eventually, after more newspaper stories emerged, he admitted lying to the house, and resigned from the cabinet and the Commons. His fall from grace was deemed a contributory factor in the fall of the Macmillan government, with Labour winning under Harold Wilson in 1964. Keeler met Mandy Rice-Davies when they worked as dancers in Soho and both women were involved with Ward’s social set. Ward would later be convicted of living off immoral earnings, with Keeler and Rice-Davies as the main witnesses, but he took a fatal overdose before the jury returned their guilty verdict in August 1963. At the height of the Profumo affair, Keeler gave newspaper interviews and also posed for the now famous photograph of her sitting naked on a chair. The affair only came to light after an incident with Aloysius “Lucky” Gordon, a man whom Keeler’s family and friends said abused and stalked her. Gordon fired shots into the home of Ward, where Keeler was temporarily seeking refuge. When she was questioned during the subsequent police investigation and prosecution of Gordon, details of the affair became public. Here’s Lucky with (GASP!) Marianne Faithful ! At the end of 1963, Keeler was sentenced to nine months in prison for perjury in the case brought against Gordon, and served six months in Holloway prison. Platt said his mother was from a generation where there was “great shame” and she had felt it when she recalled her past. She found her “notoriety” difficult, he said, and changed her name to Sloane in an attempt to gain anonymity. “Chris was feisty. And she would never shy away from a fight. She had a terrific sense of fairness. She would stand up against anybody she thought was doing the wrong thing.